Womenswear designer and London College of Fashion graduate, Keiko Nishiyama, creates highly ornate fashion and textile design which combine unexpected and philosophical elements of Europe and Tokyo. Favouring bold digital prints within her work, Nishiyama has been named a One to Watch by this season's Fashion Scout judging panel. We caught up with her ahead of her SS15 catwalk showcase to find out what we can expect to see this season. Fashion Scout: What has inspired your SS15 collection? 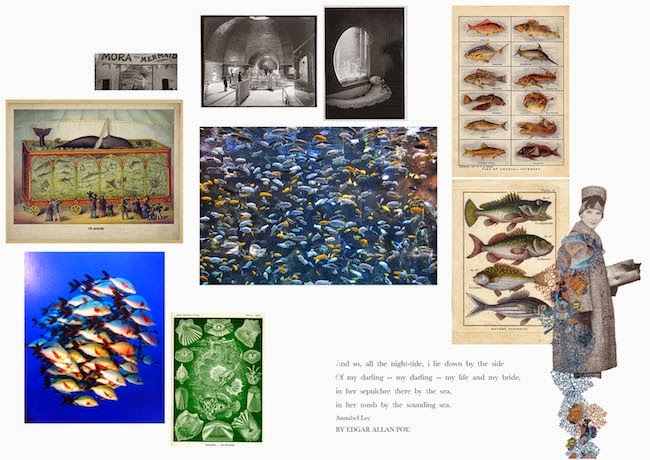 Keiko Nishiyama: This season I have predominantly been inspired by Aquariums. 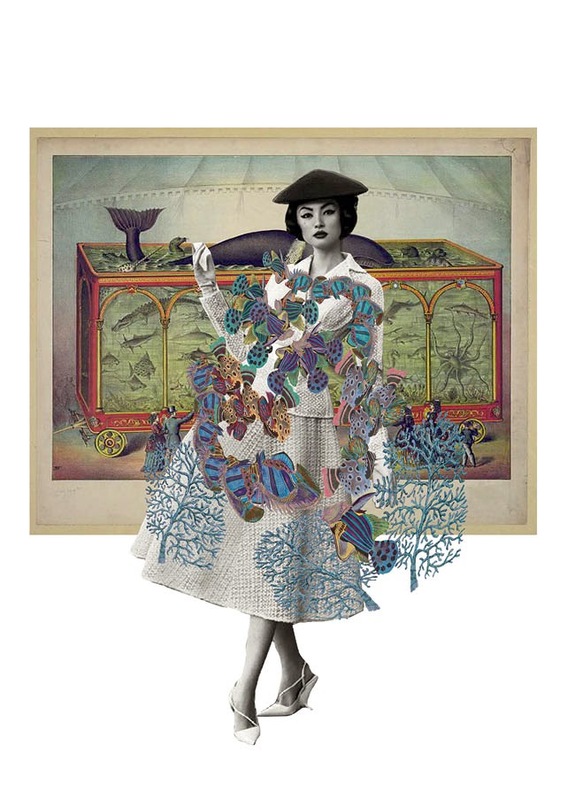 I was also inspired by Wunderkammer, a collective culture also known as ‘Cabinets of Curiosities’. 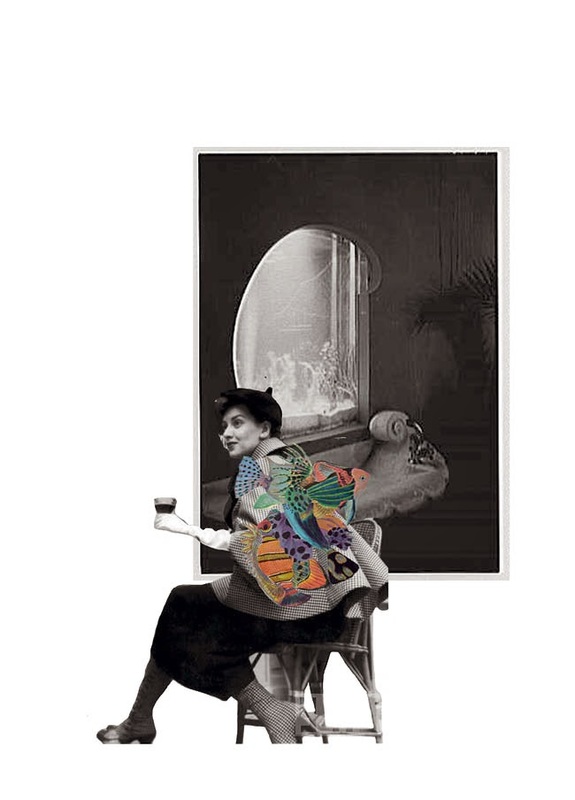 This interesting, if slightly quirky culture, looks to the idea of museums and rooms being filled with historical relics and antiquities with each room being produced by peoples different curiosities, I have combined these two themes for my SS15 collection. The model's aesthetic within this collection is mermaid-like and is inspired by the film ‘Night and Tide’ as directed by Curtis Harrington. FS: Can you tell us about your design aesthetic? KN: I am intrigued by beauty and fantasy. When I see women I look to their personal and individual charm rather than just seeing their immediate aesthetic beauty. When thinking about my design and print work, I strive for it not only to look aesthetically beautiful but also to have a somewhat bizarre element of intrigue to it. I like it when things look slightly mad! To me this is beauty. When I design, I always think about the combination of the detail and the fabrics that I use as I like them to clash in an almost unexpected manner in order to achieve my desired unconventional aesthetic. FS: What fabrics and techniques have you used to help to create your vision in your SS15 collection? 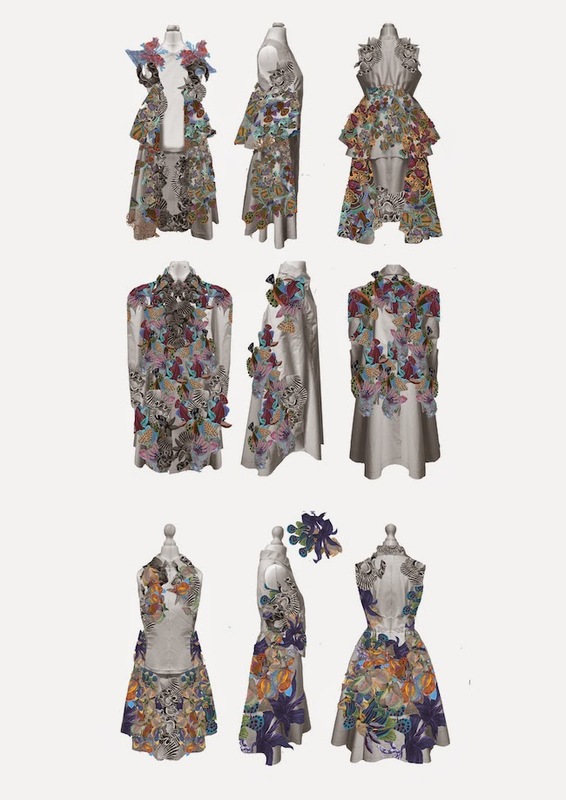 KN: I am dedicated to the use of digital print, yet I have also opted for hand drawn print for SS15 as well. This season I have definitely favoured more delicate fabric choices and a deeper toned colour palette. FS: How does it feel to be named a One to Watch? KN: I am very pleased and excited to be named a One to Watch! It is an amazing opportunity and I will be showing my first collection since graduating from LCF in 2013 so I am very excited to be doing so as a One to Watch. FS: What can we expect to see from your brand in the future? KN: I feel that the strongest and most unique point of difference for my brand is my print design so I intend to continue to develop upon that in future collections. I am always keen to portray a feeling of madness and obsession through my print design. With this in mind, I am aware that the appeal of my work does depend of consumer and commercial taste, however, I do feel that my printed garments can also be added to more minimally styled outfits to provide an accent to each individuals own personal style. I am also designing a fashion accessories line, with garments such as tights which can be easily integrated into any look. As a woman myself I always consider and take into account how a garment can be worn and styled for everyday life. FS: What are you excited about us seeing in your new SS15 collection? KN: I am excited about you seeing the evolution from my first collection which looked at obsession through floral design. For this season, my fundamental concept is similar however I am going to convey another dimension of obsession. You will see the same direction within my print design but with a new, fresh and just as wacky twist to it for my SS15 collection. By Charlotte Muscat, Contributor, (CharlotteLM9). Images, courtesy of the designer.